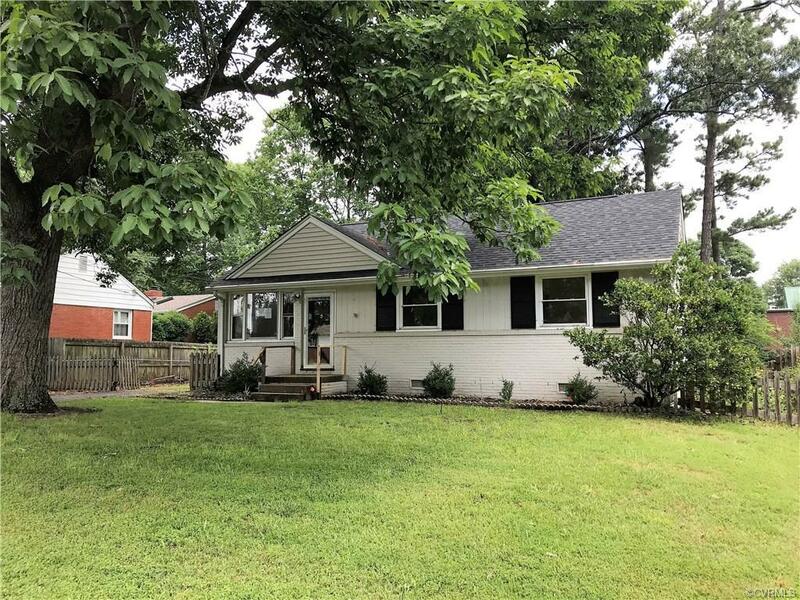 This charming rancher is seated on about a 1/3 acre lot and offers plenty of space for you to create a backyard oasis. It looks as though this home was renovated several years ago, as you can easily see remnants of the amount of work that was done to the home. The roof appears newer, there are newer windows throughout the home, and, as if this isn’t enough, you can spot even more updates that were done to highlight this home’s beauty and appeal. The living room boasts a picture window that is flanked by side windows, plus an additional window, so that natural lighting can pour effortlessly into this inviting space. Laminating flooring lines the living room and flows seamlessly throughout the hallway. The kitchen boasts newer cabinets, granite counters, and enough space for bistro style seating. The laundry area features a bathroom which includes a newer sink vanity and shower stall and the hall bathroom offers a newer pedestal sink. All of the bedrooms are carpeted. One bedroom includes chair rail molding, which adds a bit more personality to this space. HUD homes are sold as-is, with no guarantee or warranty by the Seller or Listing Broker.